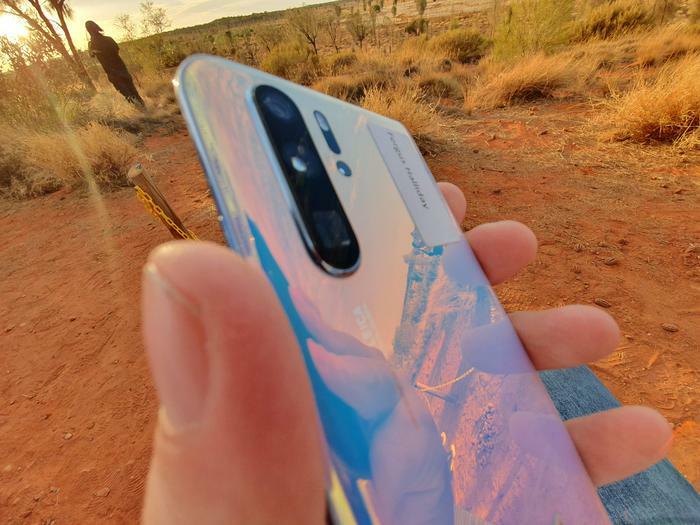 Ahead of its official Paris debut, we had the chance to take Huawei’s P30 Pro for a test-drive through the uniquely Australian backdrop of the Northern Territory outback – and we came away impressed on some fronts (and a little concerned on others). Before we jump into our impressions, here’s a quick run-down on Huawei’s latest P-series powerhouse. The Huawei P30 Pro boasts a 6.47-inch FHD+ OLED display, Kirin 980 processor, 8GB of RAM, 4200mAh battery and 256GB of on-board storage. As with its predecessor, the headline act here is the camera. Where the P20 Pro offered 3x optical zoom, 5x hybrid zoom and 10x digital zoom, the P30 Pro ups the ante to 5x optical zoom, 10x hybrid zoom and 50x digital zoom. How does it achieve this? 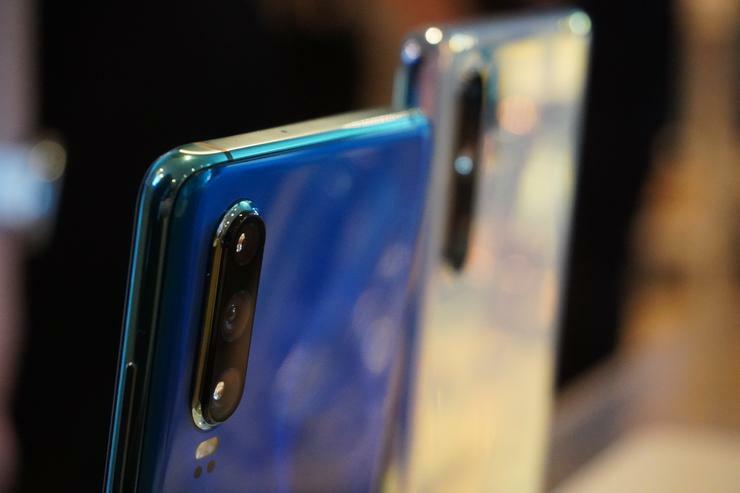 Well, similar to what Oppo showed off at this year’s Mobile World Congress, the P30 Pro uses a unique periscope design that leverages a prism to achieve these heightened zoom capabilities. 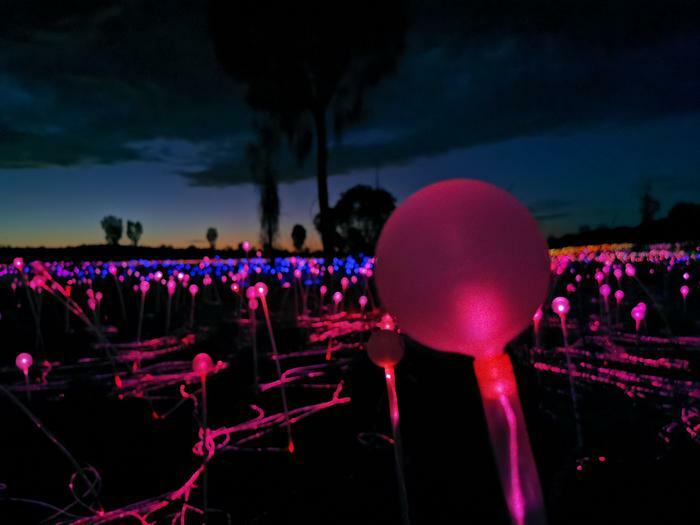 It also utilises a new SuperSpectrum sensor, which Huawei have co-developed with Leica, to deliver significantly improved low-light performance of up to 409,600 ISO. Given the secrecy around the triple-lens camera found in the Mate X, I wouldn’t be surprised if this SuperSpectrum sensor is built into Huawei’s first foldable as well. Our experience with the device mostly had us testing the P30 Pro’s photographic potential in the outback, so let’s start with there. And much as you’d expect, daytime images taken using the P30 Pro look incredible. Whether you’re relying on the Master AI to optimise your shots or not, it was honestly a little difficult to take an outdoor shot and not come away impressed. Colors, details and contrast pops with a zest and energy that’s difficult to find in other devices. Alternatively, if you prefer a little more manual control, the Pro mode is always there and if you’re after something more specific, the usual suite of modes are all present and accounted for. The Super Macro setting introduced in the Mate 20 now has a dedicated mode, which is great to see. Making use of the P30 Pro’s enhanced zoom capabilities worked much the same as it did in the P20 Pro, they just go so much further. There’s surprisingly little drop-off in fidelity when it comes to 5x and 10x magnification. 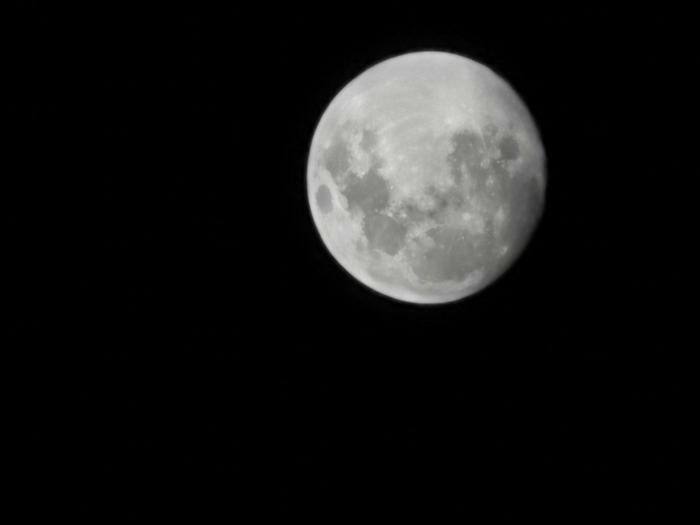 What’s more, assuming you have a something to stabilise yourself against, you an even get surprisingly solid results out of the 50x digital zoom. You can even shoot the surface of the moon with this thing. It’s honestly unreal and during our jaunt across the dunes around Uluru I honestly forgot I also brought the Sony a6400 with me to test because I was so enthralled with using the P30 Pro. Huawei told us that the Night Mode found in the previous generation of handsets had been improved but couldn’t really specify or quantify how. Anecdotally, we found that when it came to shorter long exposure shots using the mode, there wasn’t a huge difference. 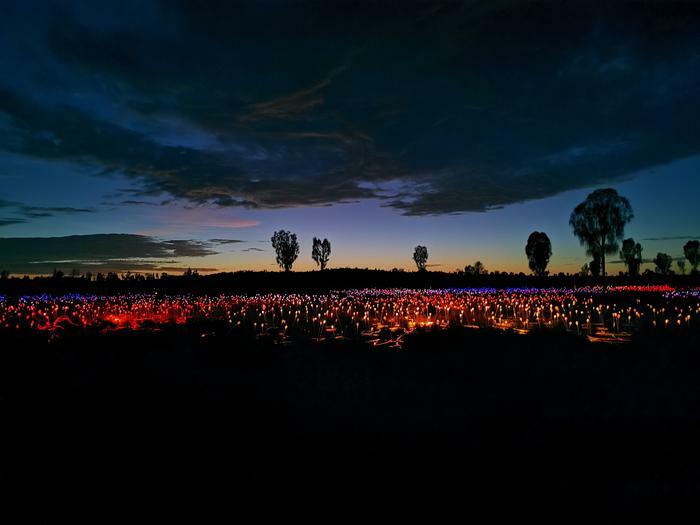 However, when it came to situations where we were working with almost no light, I found it the P30 Pro did capture nocturnal shots faster. Even in the worst conditions, the rendering time rarely peaked above 10-12 seconds – which wasn’t necessarily always the case with the P20 Pro. Our irritation with the lack of specifics around the feature aside, the P30 Pro does shoot night shots that are pretty much second to none. We had the Samsung Galaxy S10 on hand to compare, and the gulf between the two handsets was enormous. That said, if you’re more interested in low light close-ups than landscapes, we did find that the Pixel 3 XL sometimes delivered better results but otherwise it's difficult to find fault here. Huawei also claimed that the in-screen fingerprint sensor is now both faster and more accurate – but, again, they wouldn’t tell us how or to what degree. I will say that they have moved the location of the in-display sensor about a centimeter or so towards the bottom of the screen, in line with where Oppo and Samsung are placing their sensors. Honestly, I’m not massive on this change. I found the location of the sensor in the Mate 20 much more ergonomic by comparison. This brings me to the side of the P30 Pro that I was a little less thrilled with: the software experience. Our hands-on took place ahead of the device’s announcement, and Huawei wouldn’t disclose whether there would be many major changes to the company’s EMUI interface arriving alongside the new P-Series devices. The sample unit we tested appeared to be running a more-or-less identical operating system to that found in the Mate 20 Pro. And that feels like a missed opportunity, especially compared to the slick overhaul that Samsung have given their own 2019 line up. The software experience on Huawei’s phones finally made it to tolerable with the P20 and Mate 20 – but I’d hope they want to set their sights a little higher than that. That said, I will still make the case that the gesture-based navigation system here is arguably the best on any Android phone. Swipe up quickly to go home. Swipe up slowly to browse recent apps. Swipe in from the edge of the screen to go back. It's simple, it's ergonomic and it makes sense. I think that part of the reason this bugs me so much is that while there’s no doubting that the P30 Pro’s camera is a significant upgrade on the previous generation and a likely-leader in the space for the months to come, it doesn’t appear to offer much else in the way of other upgrades or evolutions over the Mate 20 Pro. Given the bi-annual cadence of Huawei’s two premium smartphones, maybe that’s an unfair expectation. However, all the same, it feels like the P30 Pro inherits a lot of its best features from the Mate 20 and doesn’t bring much of its own sensibilities to the fore. If I had to describe this thing in a sentence, it’s hard to go past “it’s the Mate 20 Pro with a better camera” – and I kinda expected a little more from a P-Series device. Hopefully Paris brings with it a few surprises because at the moment, the camera is the make-or-break factor here – and putting all their eggs in any one basket might make for a harder sell that Huawei expect. 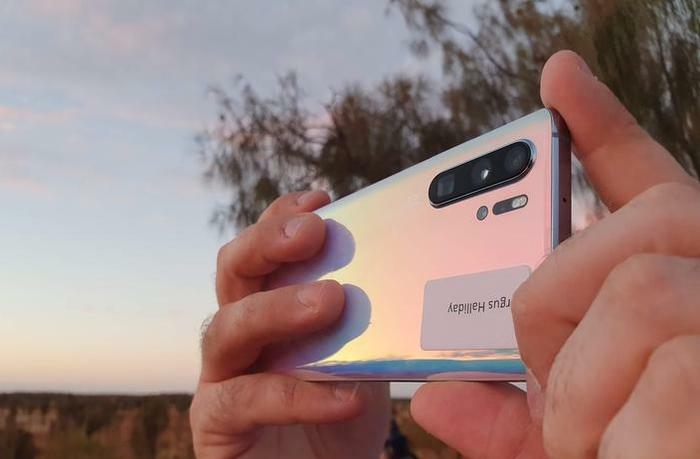 The Huawei P30 and P30 Pro will go on pre-order on the 27th of March and officially launch into Australia on the 14th of April through Optus, Telstra, JB Hi-Fi, MobileCiti and Kogan at a recommended retail price of $1099 and $1599 respectively.